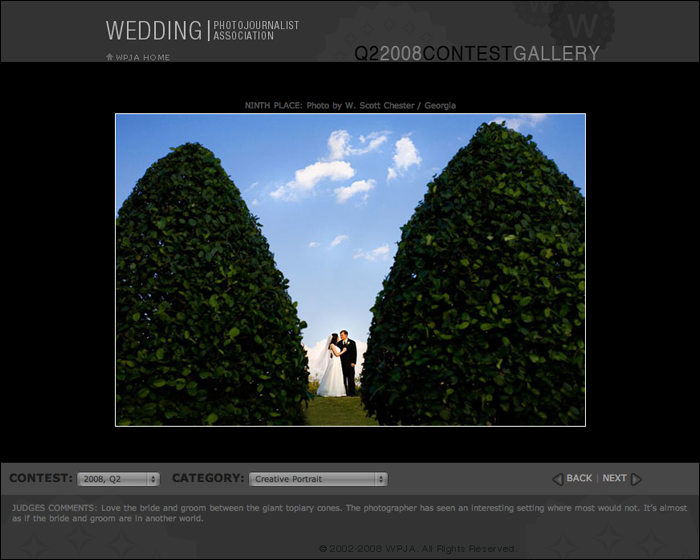 the 2008 2nd quarter results are in the for the wedding photojournalist association (wpja) international contest and scott scored a 9th place spot in the creative portrait category! the photo is one of our favorites from emily + andy's wedding a few months ago! thanks to the panel of wpja judges and to emily + andy for being such wonderful clients to work with!